FIRE AND EMERGENCY TRAINING DRILL AT HERITAGE SCHOOL. 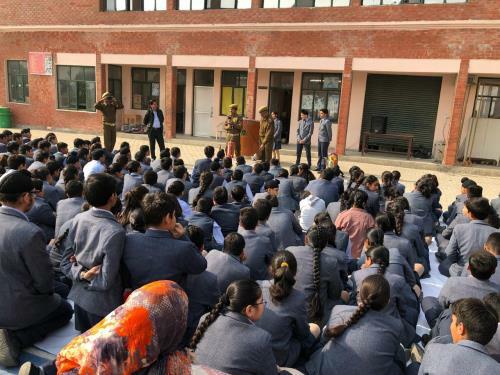 A mock fire and emergency training drill involving students and fire fighters was conducted at Heritage School, Jammu on Monday December 3rd 2018. 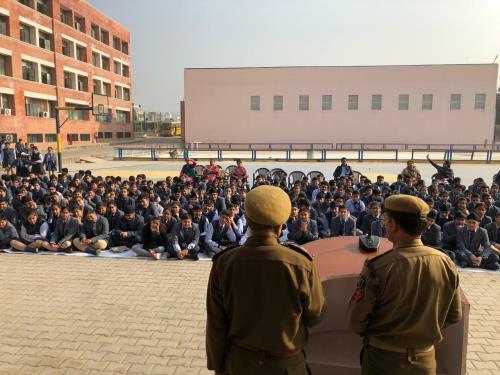 This event was organised in collaboration with J&K Fire and Emergency Services Dept. 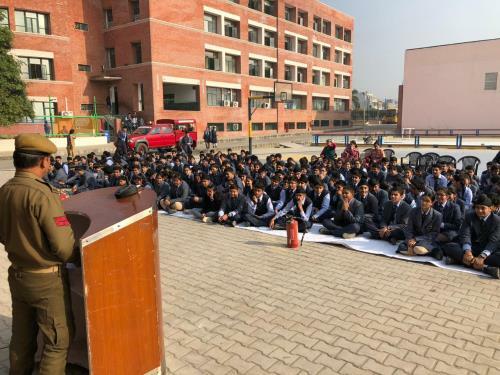 with the aim to create awareness among students and staff, of fire techniques and ways to respond swiftly in times of such emergency. 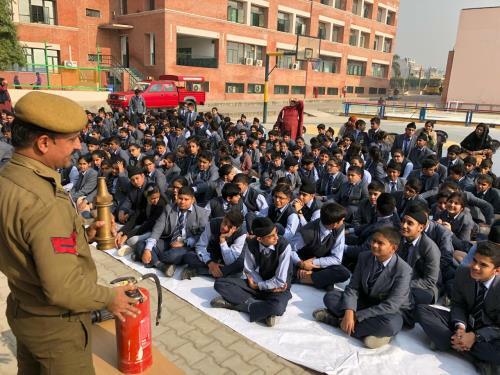 Near about 400 students and 25 teachers were trained by a group of fire fighters headed by Mr. S.P. Khajuria. 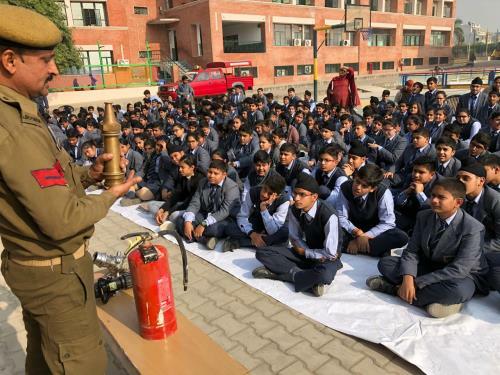 The fire fighters explained and demonstrated different improvised methods being followed by them to rescue and evacuate people caught in such emergency situation besides explaining the ways to operate the fire extinguishers safely. The students and faculty successfully learnt important life saving tips from the demonstration. 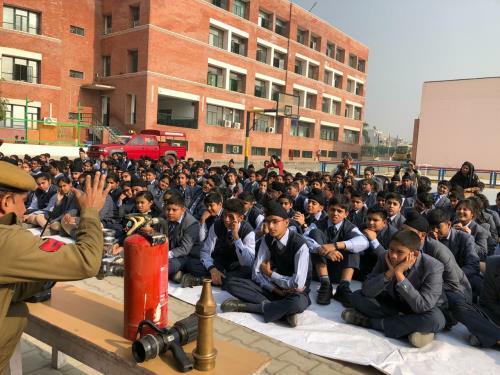 To strengthen the ongoing commitment to be prepared in the unlikely event of an actual emergency, the school has been actively conducting various awareness campaigns on fire fighting techniques and disaster management rescue operations periodically. The Principal Mr. J.S. Dhami thanked the Fire and Emergency Services Dept. for their guidance and support.